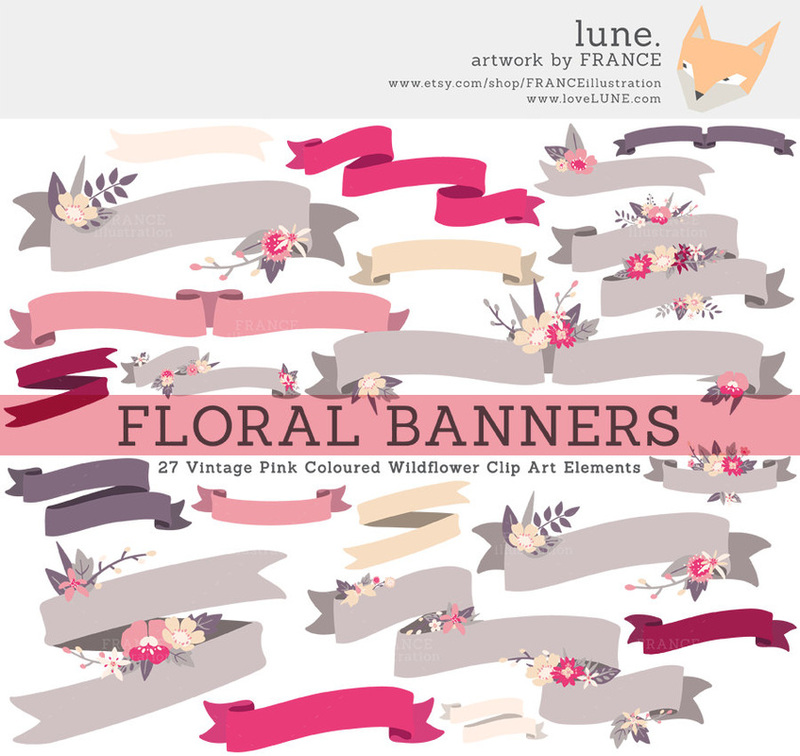 VINTAGE PINK WILDFLOWERS - LUNE. We love the simplistic folk art approach of many Scandinavian inspired graphics, so we tried our best to incorporate that feeling into this hand-drawn digital clip art set. We chose dusty pinks and soft creams to compliment the warm grey of the foliage. There is also a hint of burgundy for an extra pop of colour. This pack contains a sample of banners, wreaths, bouquets and corner flowers. This is a mega banner pack! 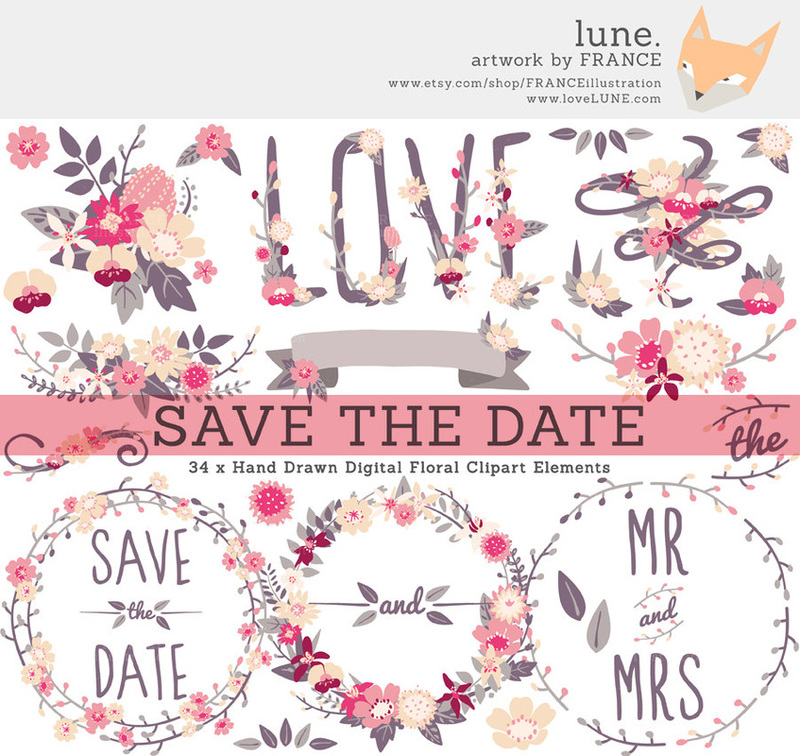 It contains warm grey banners adorned with wildflowers, as well as plain banners in matching Vintage Pink colours. 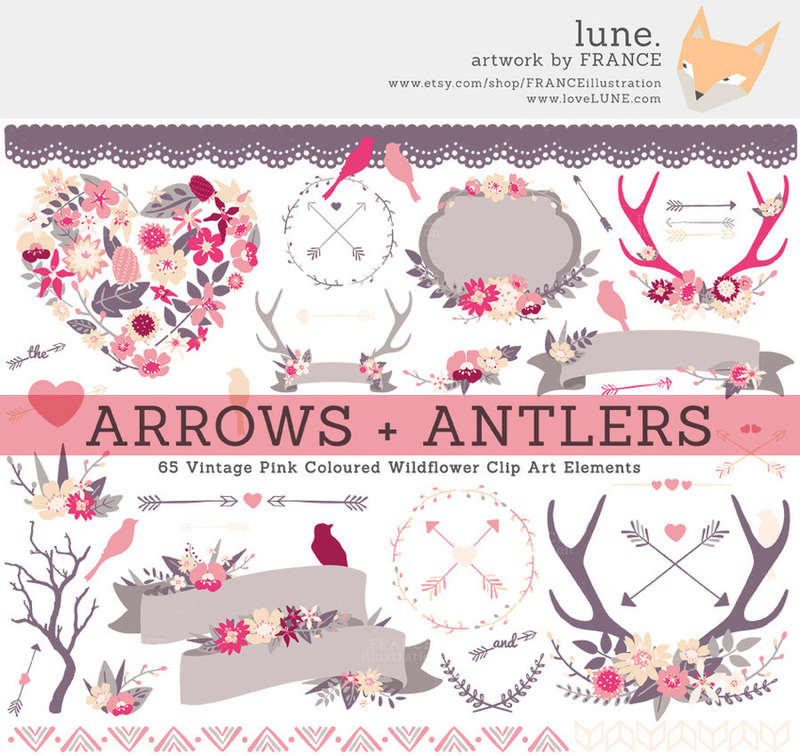 These borders are part of the above ARROWS + ANTLERS clip art set, but we felt they deserved to be highlighted! 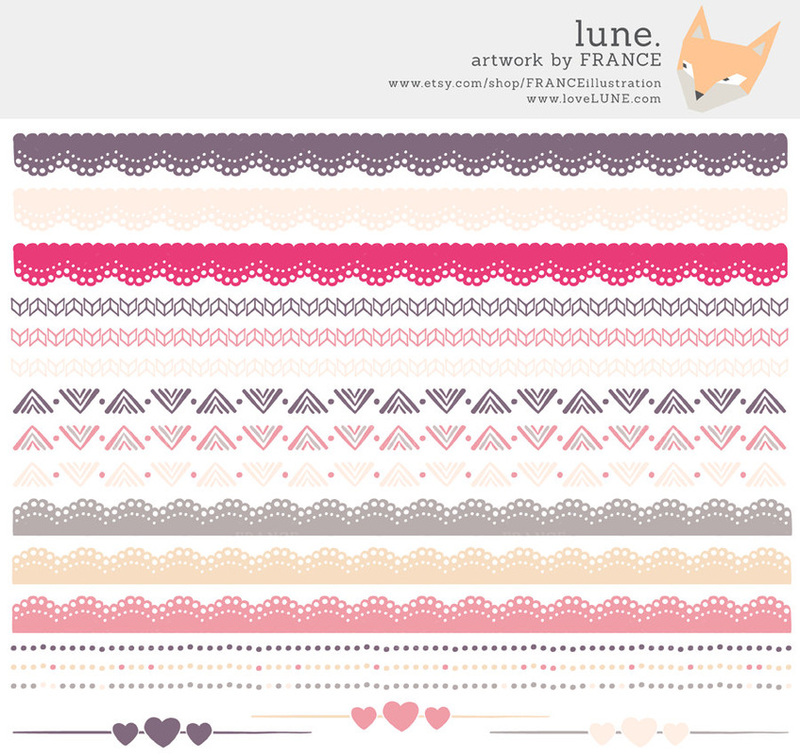 If you're looking for pretty lace edging or hand drawn arrow elements then this is the perfect set. 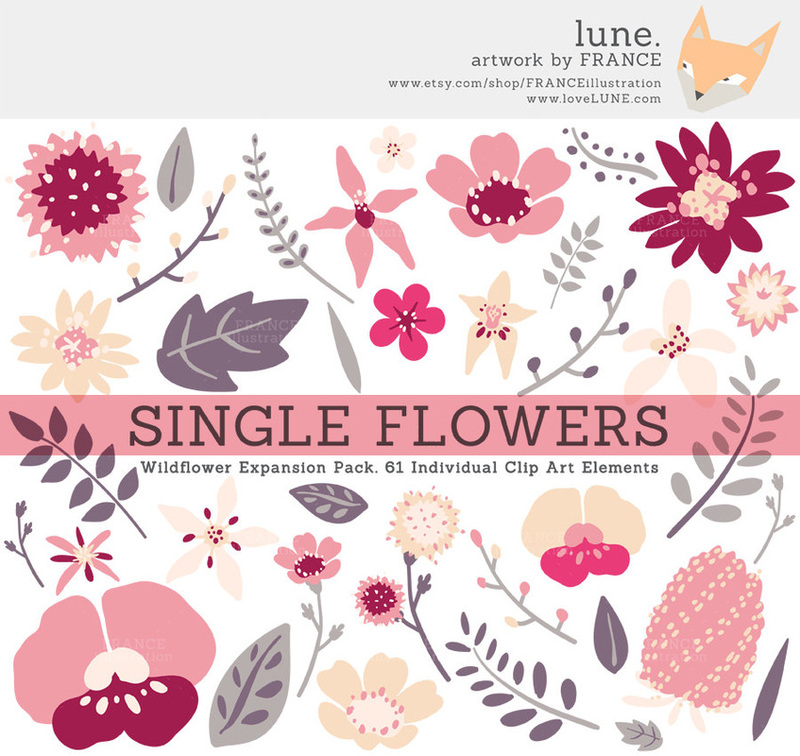 Use this Single Flowers expansion pack to create your own Vintage Pink coloured Wildflower artwork. Mix and match individual flowers, leaves and stems to create your own laurels, wreaths and more. 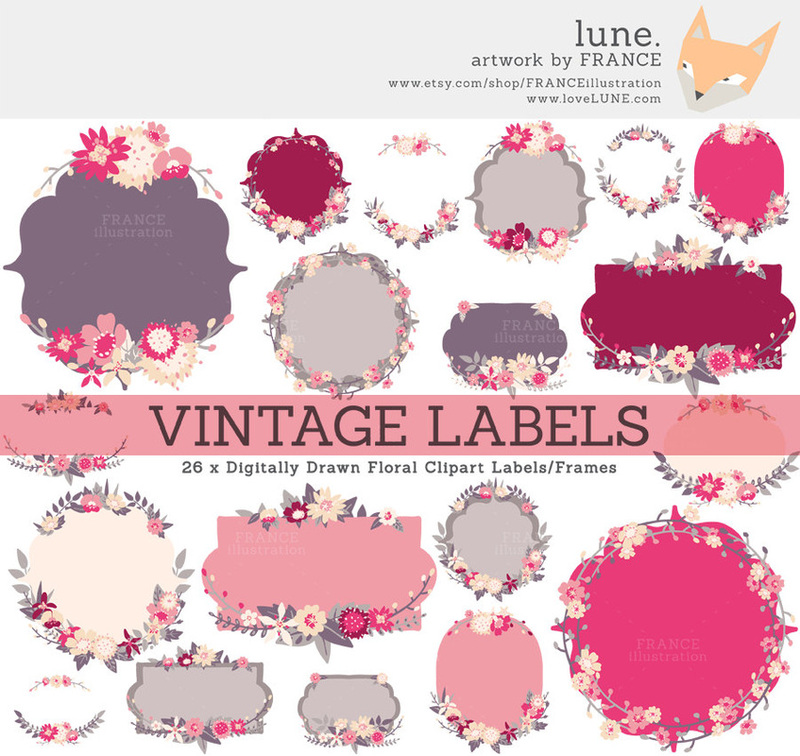 This pack contains a variety of labels in Vintage pinks, creams and dusky warm greys. 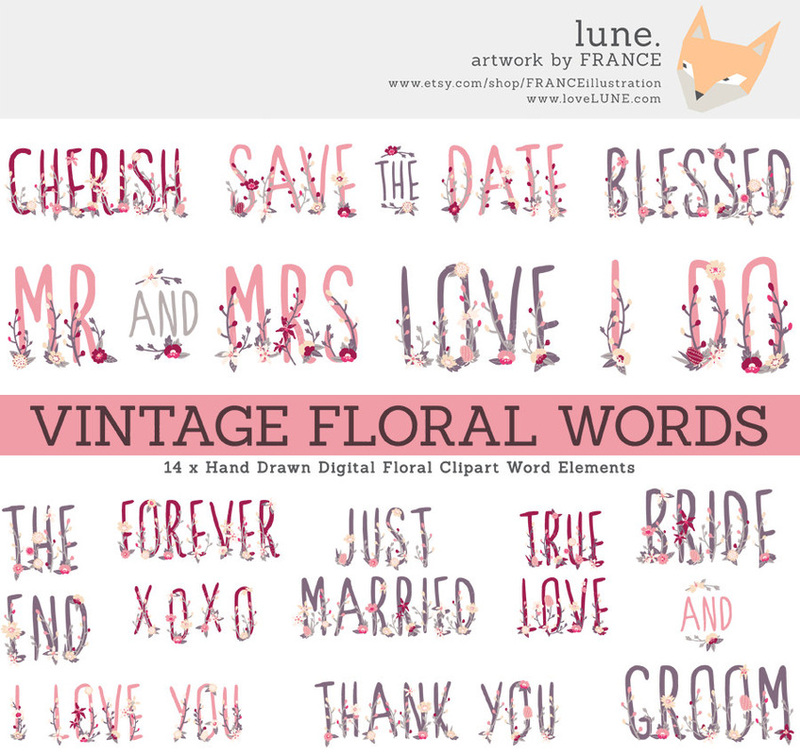 Perfect for wedding placement cards and tags. "Thank you so much, lovely!" - Sasha Tarrant, 20 June, 2014. "Absolutely beautiful! So happy I found this shop!" - Laura Palacios, 1 June, 2014.